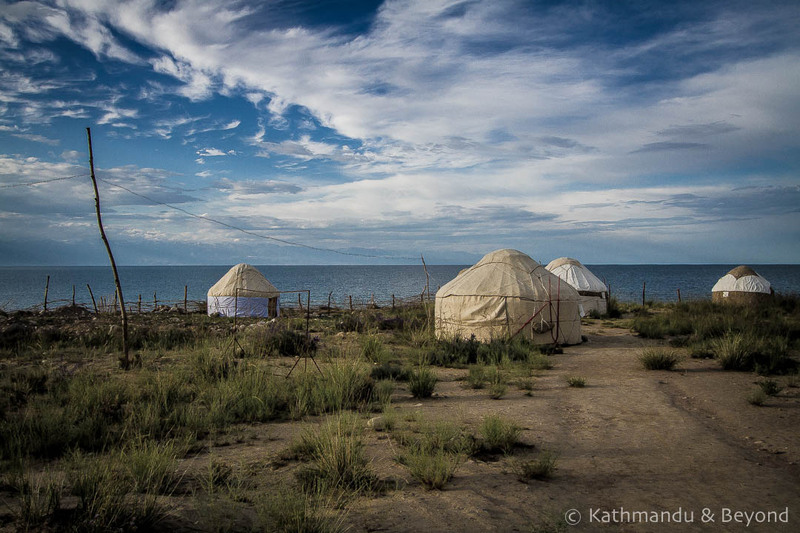 The first time we went to Kyrgyzstan in 2012, the standard of accommodation was so bad, it took us four years to summon up the will to return to the region. Of the one hundred plus countries we’ve travelled to, the Bishkek hostel we stayed in at the time rates among the worst ever! 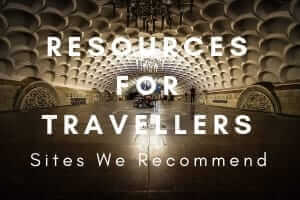 We were still a bit apprehensive, but a little online research along with feedback from fellow travellers reassured us that options had greatly improved. We were relieved to find they had! 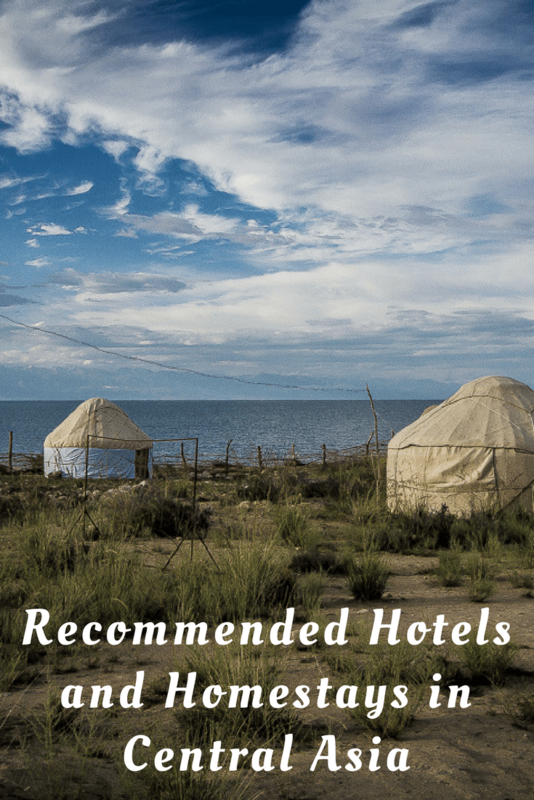 The places listed are all budget options, although outside of major cities in Central Asia there aren’t many opportunities to upgrade to luxury resorts! Our main criteria when choosing accommodation are cleanliness and location and although we prefer to stay in a private room with an en-suite bathroom, we will accept a shared bathroom. These days, we rarely stay in dorms, unless there is no other option. 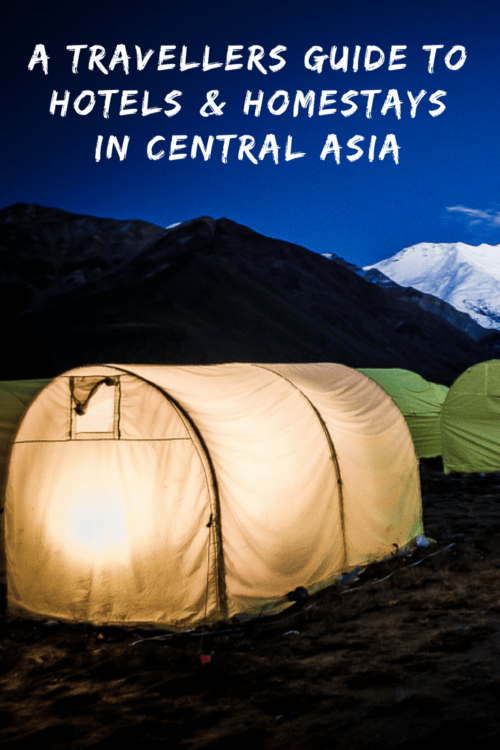 However, as budget travellers in Central Asia, we generally found that it was necessary to opt for shared bathrooms, and in several cases, shared rooms. Ordinarily, Wi-Fi is an amenity we look for when booking accommodation, but, this is pure fantasy on the Pamir Highway and in the Wakhan Valley. You’ll also be lucky if you get a phone signal strong enough to load on data! Additionally, the CBT (Community Based Tourism) homestays rarely have Wi-Fi, so if 24/7 communication is important, get a data package on your smartphone. Unless mentioned otherwise, all places below have functioning Wi-Fi. 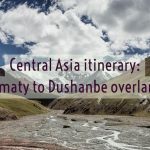 It’s hard to say what determines a central location in Almaty as the city is quite spread out, but it’s possible to walk to most of Almaty’s main sights from Sky Hostel, and it also has good public transport links (bus and metro). The hostel is located on the 10th and 11th floors of a university building and has fabulous views of the city from the roof terrace. We stayed in a private double room with shared bathroom (one bathroom between two rooms) which was clean and comfortable. There was a small shared kitchen where you could cook your own meals. The hostel has a no alcohol policy although they were flexible when it came to a quiet beer on the rooftop. There was a sociable atmosphere and it was a good place to meet fellow travellers. Our View: We would definitely consider it again, next time we’re in Almaty. TIP: There are no signs to the hostel, so make sure you have a note of the address and take the elevator to reception on the 11th floor! In itself, Apple Hostel is not a bad place to stay and it’s very convenient for the Western bus station (the hostel is practically located in the bus station’s parking area!). Beyond that, the location was disadvantageous: although it is within walking distance of Osh Bazaar (about 15 minutes), the hostel is a bit too far from downtown Bishkek and there aren’t many decent eating options in the vicinity of the hostel itself. It’s easy enough to take a marshrutka or taxi but we tend to get a bit lazy, particularly in the evenings, if things aren’t right on our doorstep. We ate a lot of meals in the attached cafeteria style restaurant, which was decent enough but became very repetitive. The hostel advertises a kitchen, but it was very makeshift and lacking in utensils and we didn’t feel able to prepare any meals there. A fully-functioning kitchen would make a big difference in terms of convenience. Redeeming features are the helpful and friendly staff and the choice of clean rooms (dorms and private rooms). During our stay, the owners were carrying out a lot of renovations and improvements including expanding the communal space which should improve the sociability of the hostel. Our View: Apple Hostel works well either as a transit option or as a comfortable place to stay if you’ve got a few days to kill. It’s not the best location for exploring Bishkek itself, however. If you are looking for a better-located budget option, closer to the centre of the city, the more-expensive Interhouse Hostel was recommended to us by fellow travellers. We struggle to recommend any accommodation in Osh and, generally, options in Osh at the budget level are poor. Back in 2012, we stayed at Osh Guesthouse which we thought was cramped and rather grubby. 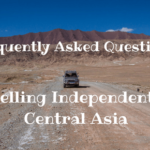 However, it would be a good place to meet other travellers and to arrange onward transport for the journey along the Pamir Highway to Tajikistan. On our most recent trip (2016), we stayed at Lovely Home guesthouse in a private room (with a shared bathroom). It was OK but certainly wasn’t that lovely! To be fair, there was a problem with the water supply throughout Osh during our stay, so it wasn’t Lovely Home’s fault we couldn’t have a shower or do our laundry the day before we were due to set off on the Pamir Highway and anticipating neither facilities for over a week! Our View: Due to the limited options in Osh, we would consider Lovely Home or one of the sister properties next time, but I would also check to see if anywhere more promising has opened. The owner (who is lovely) also operates Lovely Home for You, which has rooms with private bathrooms and Lovely Home – the Best . Fellow travellers Concrete & Kitsch recently explored Osh and their recommendation is Konok Apartment. We stayed at Zinaida Homestay in Arslanbob, which is one of many CBT guest houses scattered in and around the town. If you’re arriving during ‘office hours’, head to the CBT office where the staff there will set you up. Otherwise contact them in advance. We enjoyed our stay at Zinaida which is set in a lovely, relaxing garden. The friendly family looked after us well and the food was good. We tended to have dinner at the homestay as although there were a few eating options in town, things tend to close down early and the food at Zinaida was tasty. The accommodation is spread over a couple of rooms in the house and there is a shared outside bathroom, including a hot shower. No Wi-Fi. Our View: There’s no reason why we wouldn’t stay here again but, on the other hand, CBT have a lot of equally comfortable homestays on their books so it would be good to share the wealth. BOOK IT: CBT Arslanbob (spelt Arstanbap). We recommend calling or emailing in advance to let them know your arrival time as the office kept rather random opening hours. Our first stop after leaving Osh was Lake Tulpar Kul near Sary Mogol. 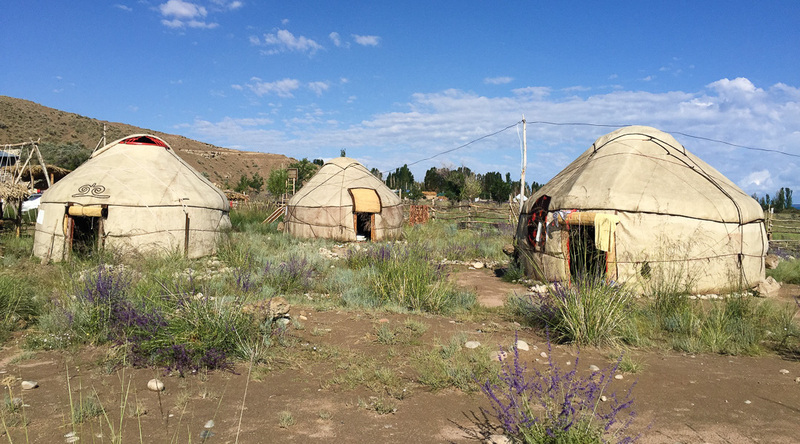 Ordinarily, there is only one yurt camp here, the CBT-operated camp, but our visit coincided with the Yak and National Horse Games Festival and the facilities were much busier than usual. We stayed at a very average privately-run yurt camp, situated close to the lake. It wasn’t up to much and our yurt leaked. On top of that, the food was almost inedible, the worst we had throughout the entire trip. We wanted to stay at the CBT Yurt Camp (which is set up as a permanent camp in summer and looks much nicer) but it was full due to the festival. Our View: If your stay coincides with an event, try and book at the CBT camp. BOOK IT: CBT Sary Mogol. Outside of the festival, don’t go directly to the lake without a reservation. Stop in at the office in Sary Mogol to make sure the camp is operational and to book your place in one of the yurts. At US$30 per person per night, it was the most expensive accommodation on the trip but well worth it. The bright yellow tents were equipped with two cot beds, extremely warm sleeping bags and electricity. The shower was hot and the three meals (included in the rate) were excellent – we even had salmon steaks for lunch! Wi-Fi is available in the dining tent. There are also about three, less expensive, camps within the same vicinity, mostly catering for climbers attempting to summit Peak Lenin. 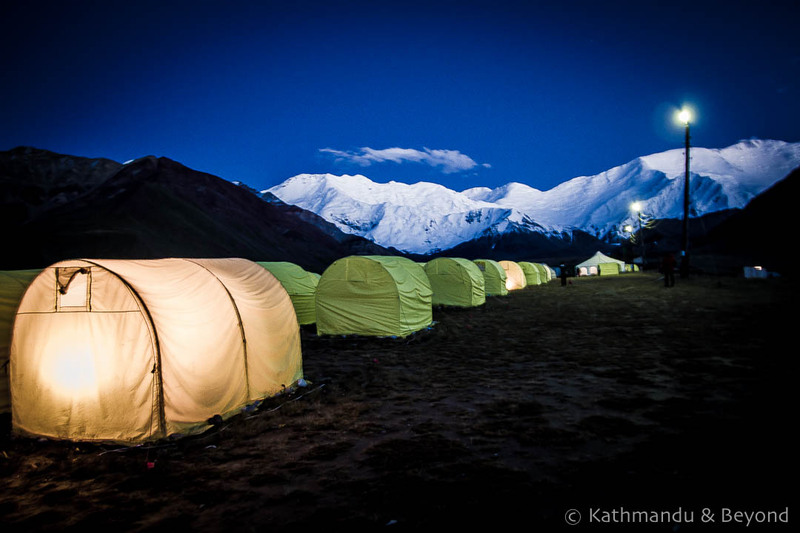 We have written in more detail about our stay at Base Camp here. Our View: More expensive than regular homestays but also more ‘luxurious’ – definitely worth splashing the cash if only for the stunning views of Peak Lenin and the surrounding mountains that you won’t get from anywhere else! 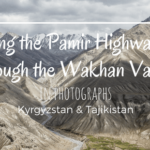 Once you hit the Pamir Highway and the Wakhan Valley, forget about reservations! To be honest, the homestays are much of a muchness and your driver will probably know where to find the cleanest and most comfortable ‘bed’ and the best food. Sleeping on a mat on the floor in a shared room is the norm although you might get a private room if you are either lucky or insistent. One of our travelling companions suffered from a bad back and we were surprised by the number of actual beds that materialised when he put a case forward! Owners will always find you a place to sleep, even if it’s on a mattress in the dining room. Toilets will be outside and, despite not expecting to have a proper wash for the best part of the week, most places we stayed in had hot bucket showers which was a real treat. Most homestays have electricity in the evenings and there is usually a socket to charge camera batteries and mobile phones (although the availability varied depending on how many others were staying there). On average we paid US$15 per person per night. Prices quoted are per person and always include breakfast, and occasionally dinner although usually this was an extra couple of dollars. There’s not normally anywhere else to eat, so you’ll want dinner included too. We’d heard reports of terrible food; some travellers told us it was inedible and we’d stocked up on instant noodles and other snacks. However, we ended up giving most of the noodles away as meals were generally good. Repetitive, but good enough. One thing we should have carried more of was fresh fruit as that is hard to come by in the harsh climate. It’s also a great gift to have for the nomadic families who will invite you into their yurt to share what little they have. 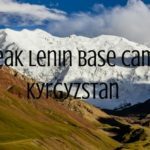 It seems unnecessary to mention that none of the places between Osh and Murgab have Wi-Fi (with the exception of Peak Lenin Base Camp), but it’s surprising what people expect these days! Generally, accommodation was of a much higher standard than we were expecting and the host families were very welcoming. 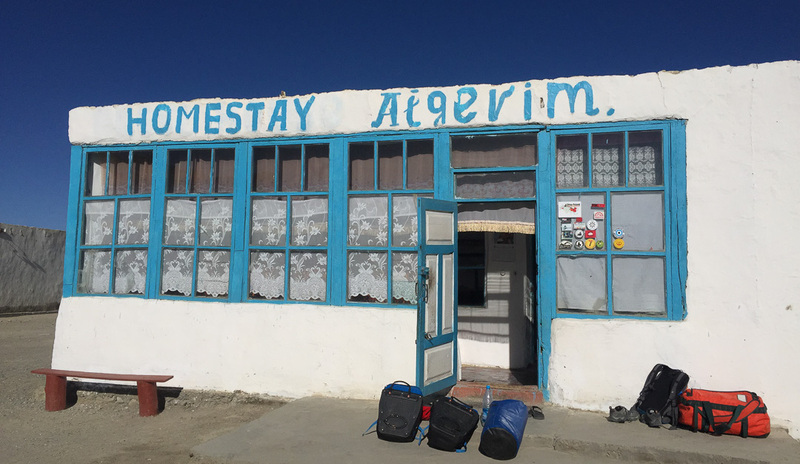 We stayed at Homestay Aigerim, the first homestay on the right as you enter the town (coming from Kyrgyzstan). Bedding was on the floor but clean and the host family was very nice. The food was fine but there was no shower and the outside toilet was a bit of a distance from the main house. 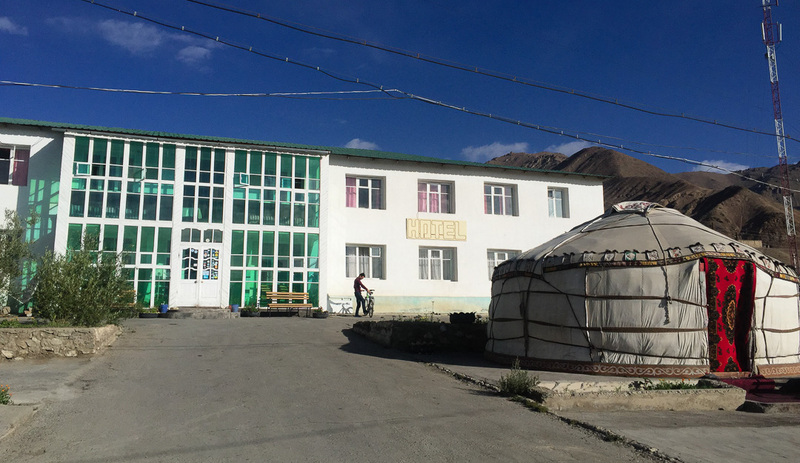 The Pamir Hotel is a hotel, rather than a homestay, and definitely jerry-built (cheaply and quickly) but the private twin rooms were actually pretty good. We had one of the best beds on the whole trip here and the shared hot shower bathrooms worked well. The food in the restaurant was a bit hit and miss but they did serve beer, so that was a bonus! The Pamir Hotel is a good place to meet other travellers. The cosy Shorob Homestay was a very sociable place to stay and the old guy that kind of ran it (his wife did most of the work!) had a wicked sense of humour. 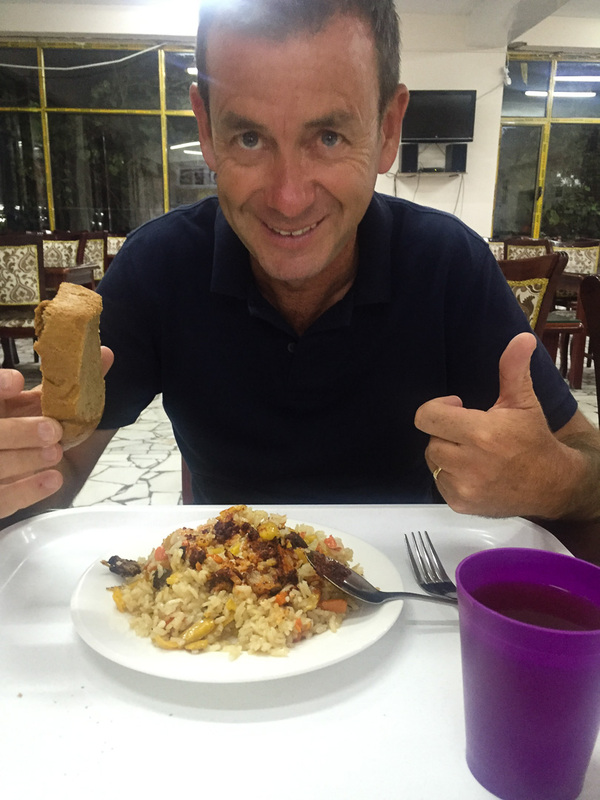 The food was good here as well – fried fish, which made a welcome change from mutton. They have a fantastic steam room with a hot-bucket wash – the guy was very proud of it! In Langar we stayed at Nigina Homestay which is a short distance away from the centre of the village (up a hill close to the school) but not an issue if you have your own transport. We had a private room with mattresses on the floor, the setting was peaceful, and the dinner and breakfast were good. Hanis Guesthouse is used to dealing with tour groups and so runs an efficient ship. It’s more of a hotel than a homestay and was another place with a comfortable bed (trust me, you remember when you get a good bed in this part of the world!) but the food was only average and the portions were small. Private rooms, as well as dormitories, were available, all with shared bathrooms. We stayed in two places in Khorog. To begin with we stayed at the Bomi Jahon Hotel on the main road next to the stadium, where our twin room and the shared bathroom were fine and the included breakfast was good, but the owner was a bit gruff and the place was mainly full of local businessmen. After all the hospitality in the Wakhan Valley it just didn’t feel very homely! We then moved to Umriniso Homestay, which is located in the central park, close to the PECTA (Pamir Eco-Cultural Tourism Association) office. It was run by a lovely babushka and surprisingly, we were the only ones staying there and so had a big room all to ourselves. 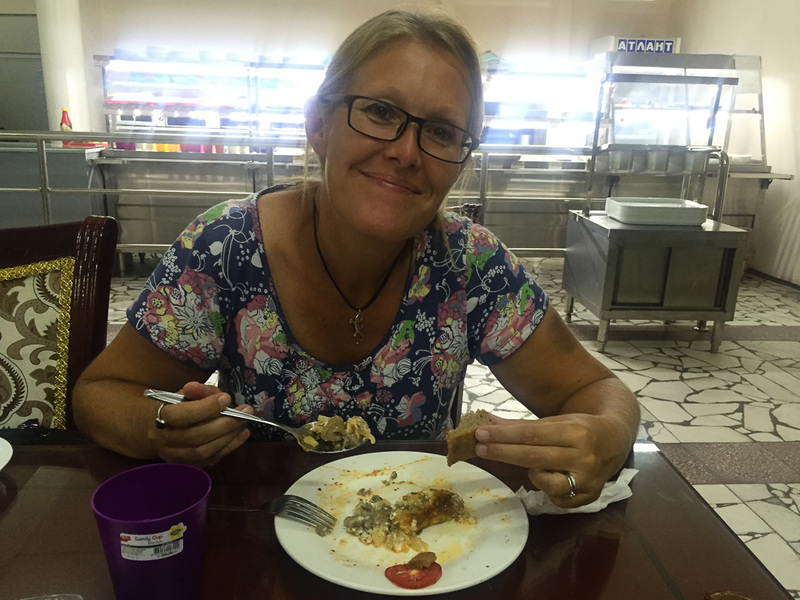 We didn’t have dinner at the homestay as there are several other places to eat in Khorog (try the Indian restaurant, Delhi Durbar – we ate there four nights in a row!) but breakfast was excellent and included lots of homemade goodies. Although it’s popular with many travellers, we didn’t like the look of the Pamir Lodge in Khorog. The main problem was that it is poorly located and a very long walk from the centre of town. Furthermore, the lodge did not serve dinner which meant we would either have had to take a taxi into town (and back) or eat at the nearby Bar Varka which, by all accounts, was not great. It can get busy, with travellers sleeping on platforms outside of the private rooms which could mean a noisy night. 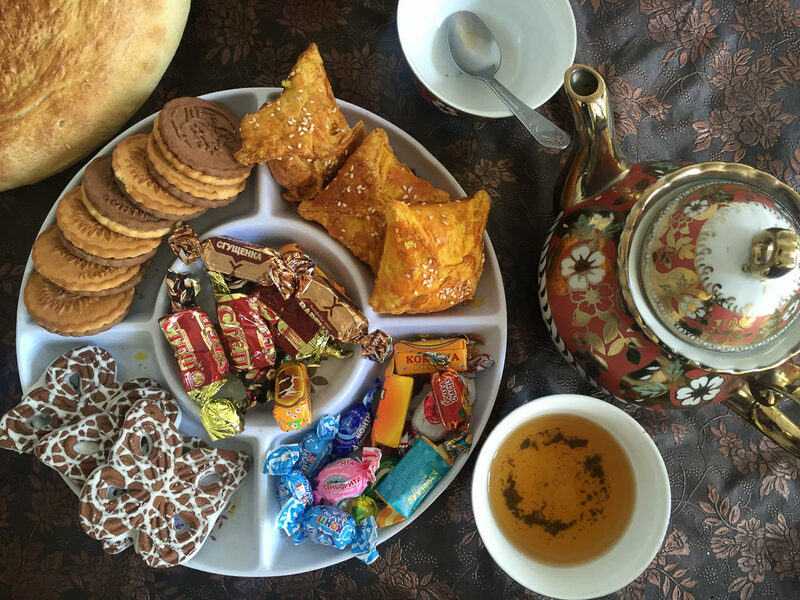 PECTA’s website has been recently updated with details of hotels and homestays in the Pamir region including prices and telephone numbers for reservation: PECTA-registered Homestays and Guesthouses in the Pamir Mountains. Finally Dushanbe, a city which is definitely lacking budget accommodation and we found to be poor value for money. We stayed at the Yeti Hostel, which we didn’t like much. 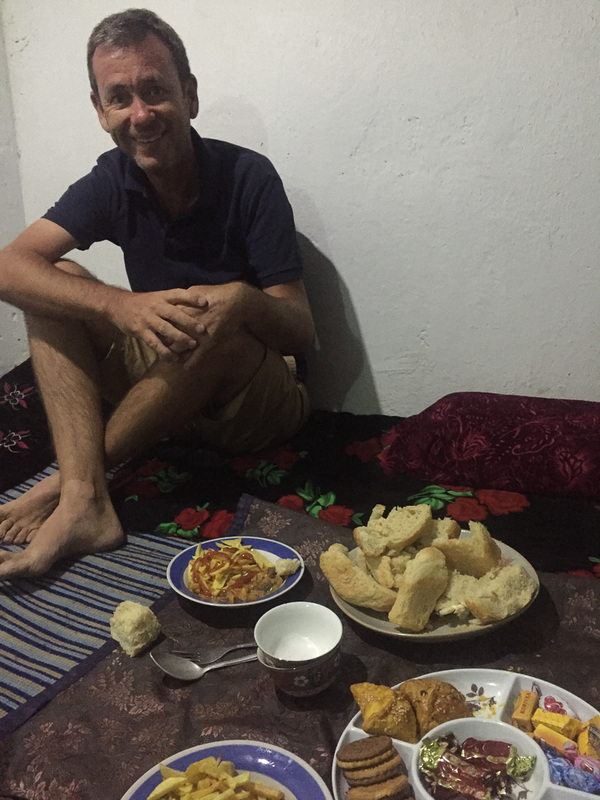 It’s inevitable that we’ll get off to a bad start if we have to sleep in cramped dorms, and we were unlucky in that Dushanbe’s scant accommodation options were being stretched to the limit by an influx of Mongol Rally participants. The staff couldn’t cope with all the bookings and the disorganisation meant we would come back at the end of a day’s sightseeing not knowing whether our beds had been given to other travellers! We did meet some good people there but unfortunately the entire place felt very claustrophobic. A couple of other downsides are that Yeti is located a long way from downtown Dushanbe and it doesn’t have a kitchen, forcing you to eat out. We met people who stayed at Green House who, although satisfied, didn’t rave about it and others who were at Hostel Hello, Dushanbe! which has the benefit of private rooms and gets good reviews. Both are more centrally located and, even though rooms with a private bathroom at Hello are US$40, I think we would be tempted if ever there is ever a next time in Dushanbe. Courtesy of Air Astana, that cancelled our flight out of Dushanbe, we got to spend a night at the Atlas Hotel. At over a hundred dollars a night it was way out of our usual price range, but it’s a good hotel and worth considering if you’re looking for an upscale option, especially if Air Astana picks up the bill. The hotel is centrally located, the rooms were very comfortable, and staff were welcoming. The food was mediocre but then this is Tajikistan! Disclaimer: The Booking.com links included in this post are affiliate links. If you use them to make a reservation, it doesn’t affect the price you pay, but we get a small percentage of the commission that booking.com receive. Enough to buy us a beer or coffee, depending on which country we’re in! We paid the going rate for all of our accommodation (with the exception of the Atlas Hotel in Dushanbe and Peak Lenin Base Camp), and the reviews are completely unbiased, even the ones we didn’t pay for! Thank you, Kirsty. Very helpful, and timely! Is the first of photo of Bel Tam yurt camp or different one?